All alloy steels are made from carbon steel and other alloying materials, including aluminum, chromium, copper, manganese, nickel, silicon or titanium. 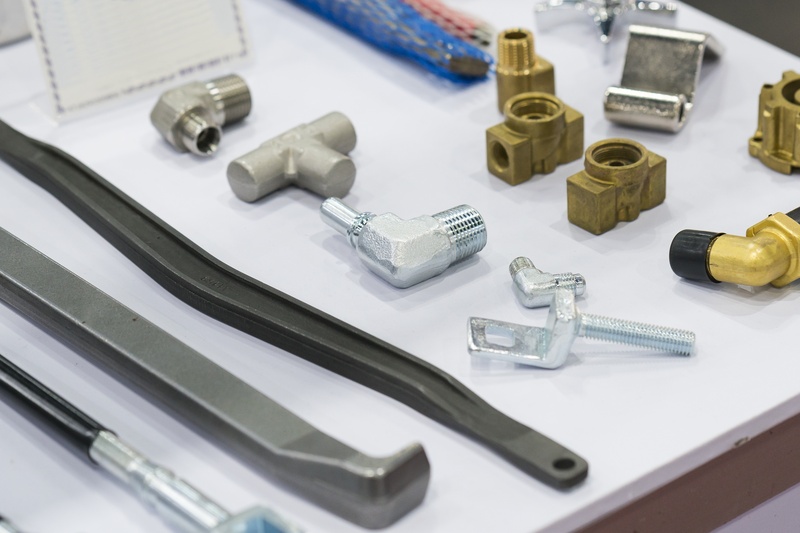 These metals are combined with carbon steel to create specific properties that allow for increased hardness, strength and/or corrosion resistance. The most common and familiar alloys are brass and carbon steel. Brass is made of copper and zinc of varying proportions and mechanical and electrical properties to develop different types of brass alloys. Brass is frequently used to make a wide range of pipe fittings, threaded fasteners, tube fittings and flare fittings. Because of its exceptional resistance to rust and its hardness, flexibility and durability brass is frequently used in pluming applications for tubing and pipe fittings. Carbon steel is a combination of iron and carbon, and often contains other elements with low maximum percentages, such as copper (0.60% maximum), manganese (1.65% maximum) or silicon (0.60% maximum). Carbon steel fittings are widely used in industrial, construction and agricultural equipment due to requirements of high pressure, high strength and low cost. Carbon steel is the most used metal, making up nearly 85% of the world’s steel production. Even though it has limited corrosion resistance compared with other materials it is still used in a wide number of industrial applications. Vanadium ® Provides improved corrosion resistance and increases strength, toughness and resistance to shock. 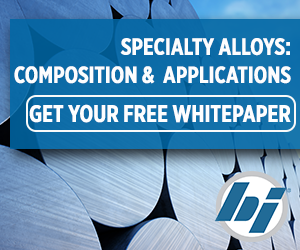 This blog post is an excerpt from our whitepaper, "Specialty Alloys: Composition & Applications". If you'd like to learn more about specialty alloy applications & specs, click here or below to download the whitepaper!